Providing truly all-round support for energy and vitality, as well as healthy immune, neurological and adrenal function. In classical Chinese medicine Cordyceps is believed to nourish Yin and Yang while Reishi strengthens Qi and Blood and in Ayurvedic medicine Ashwagandha (the 'Indian Ginseng') is seen as the ultimate adaptogen helping support the body's resistance to stress. 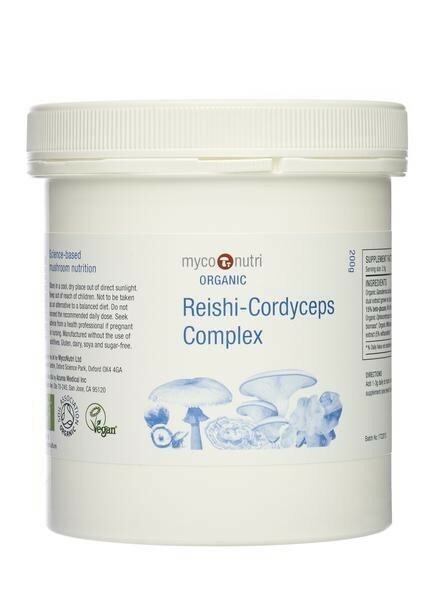 Cordyceps mycelial biomass combined with Reishi dual hot-water / ethanolic extract rich in immune-modulating polysaccharides and anti-inlammatory triterpenes and the patented Ashwagandha KSM-66® root extract (minimum 5% withanolides) make this ultimate product for the demands of today's hectic lifestyle.